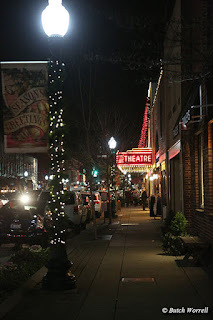 The Franklin Theater was the scene for the final show of the Tommy Emmanuel and friends “Christmas Memories” tour. 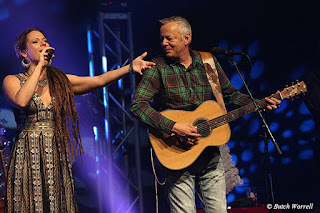 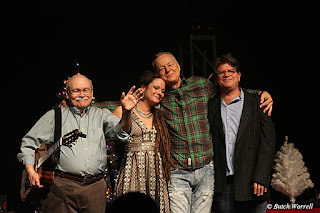 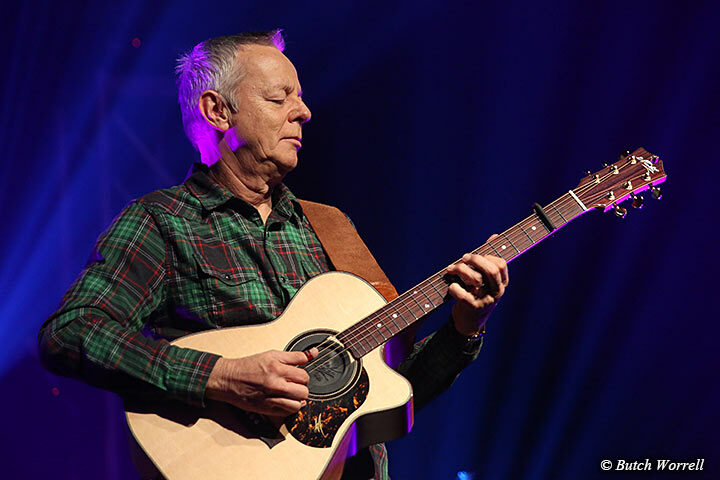 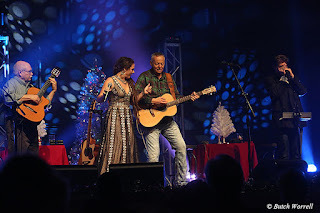 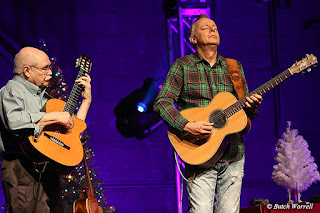 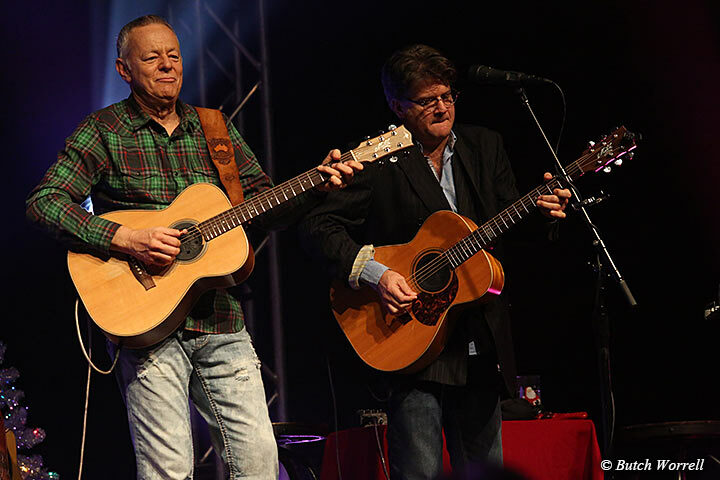 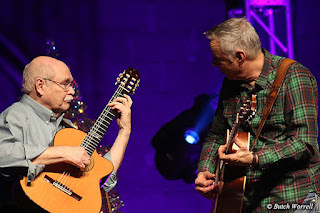 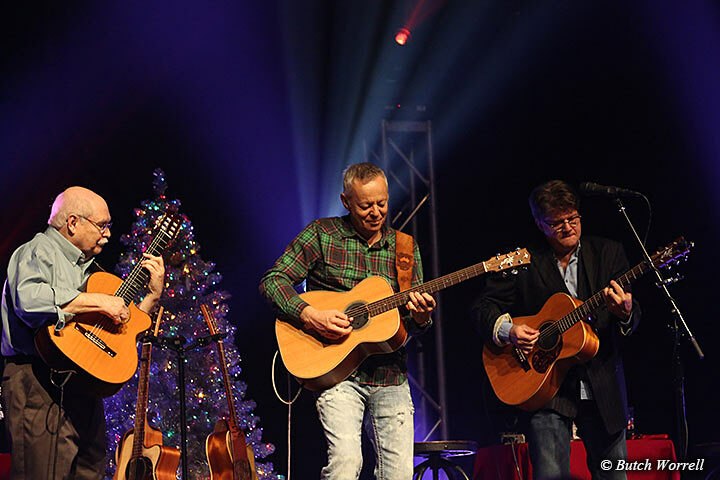 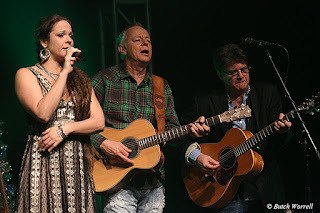 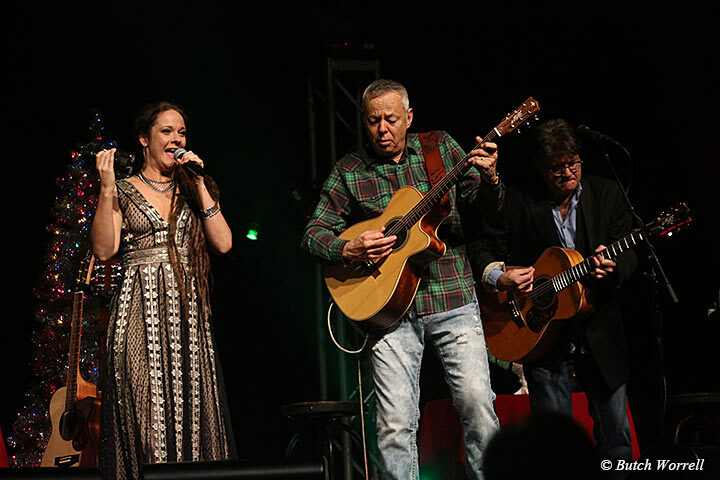 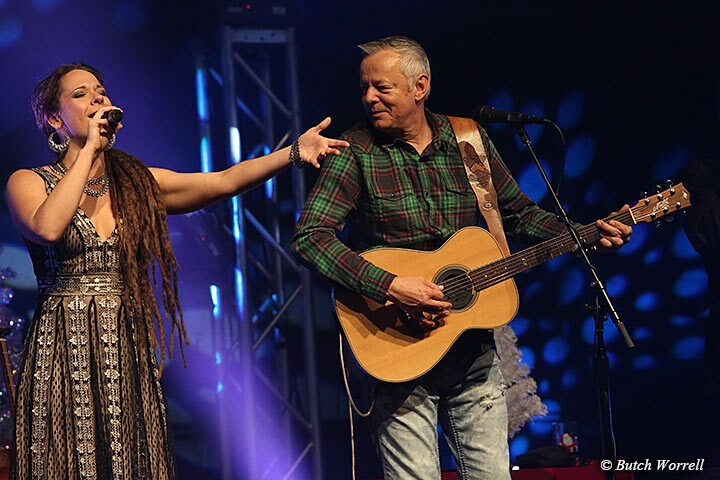 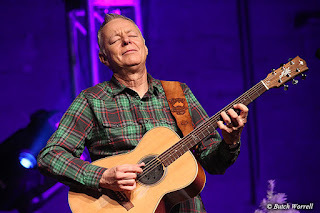 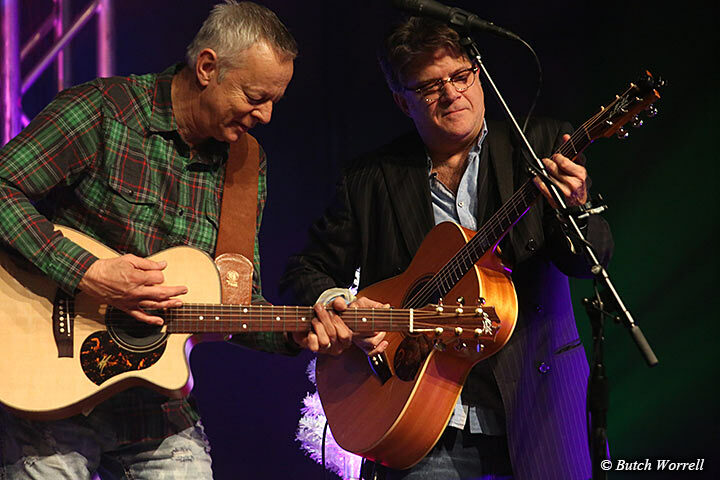 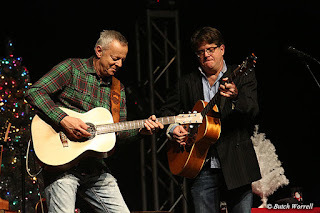 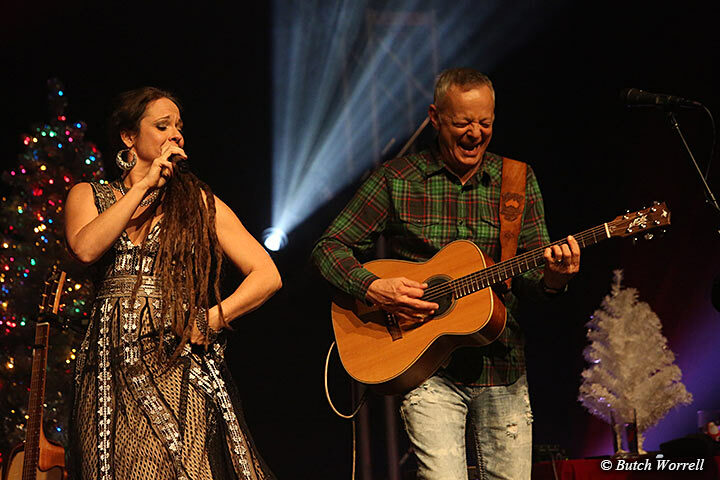 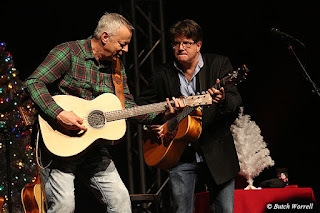 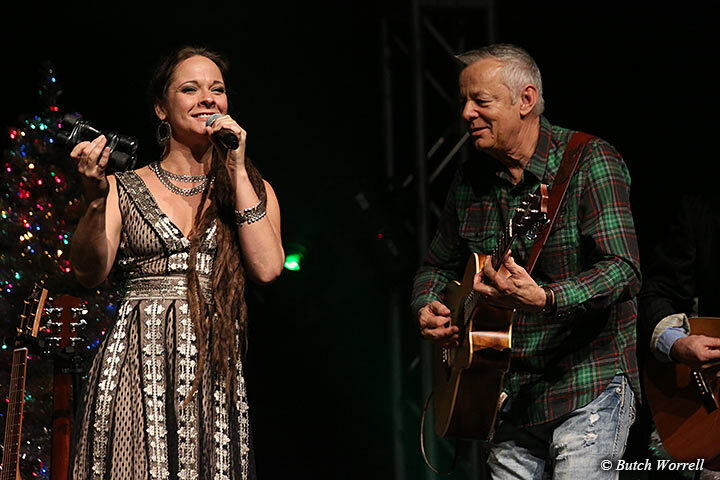 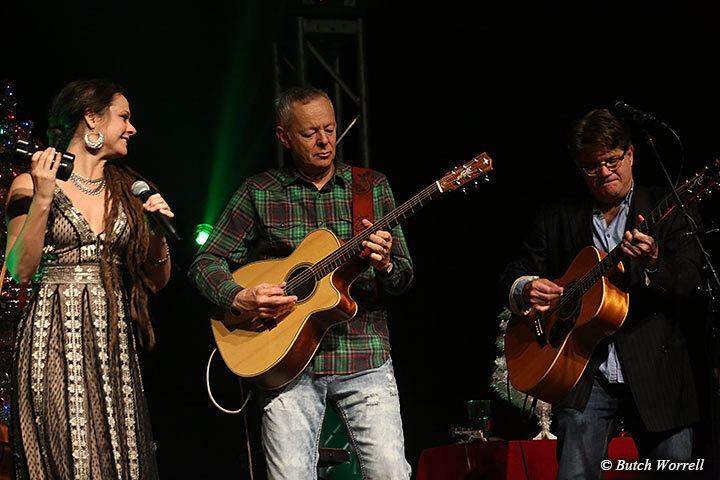 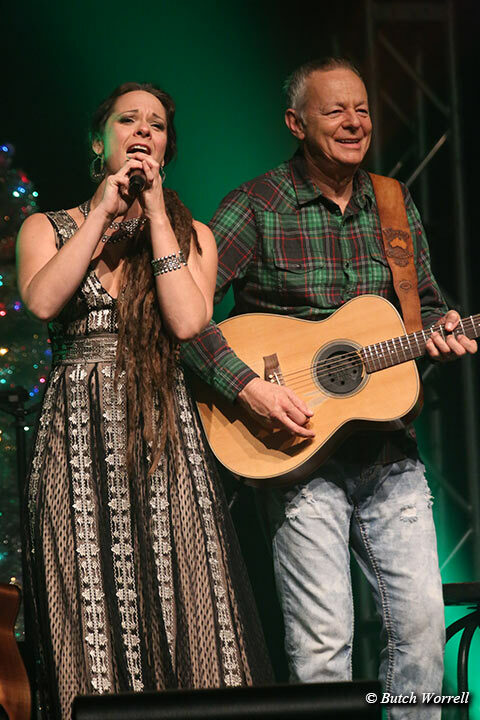 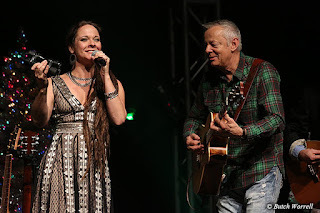 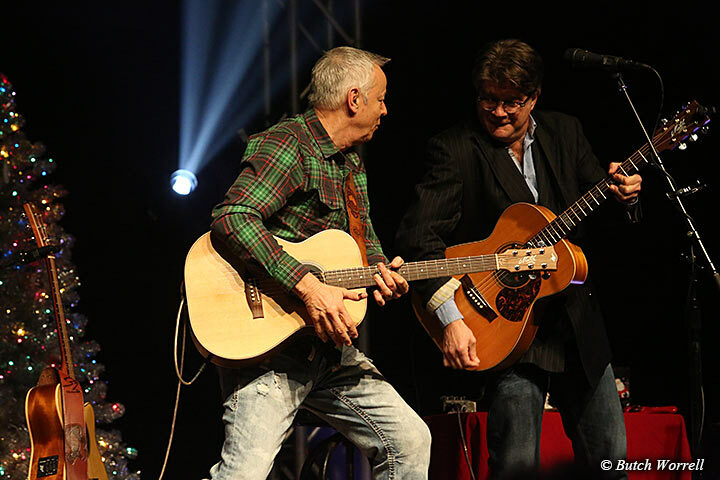 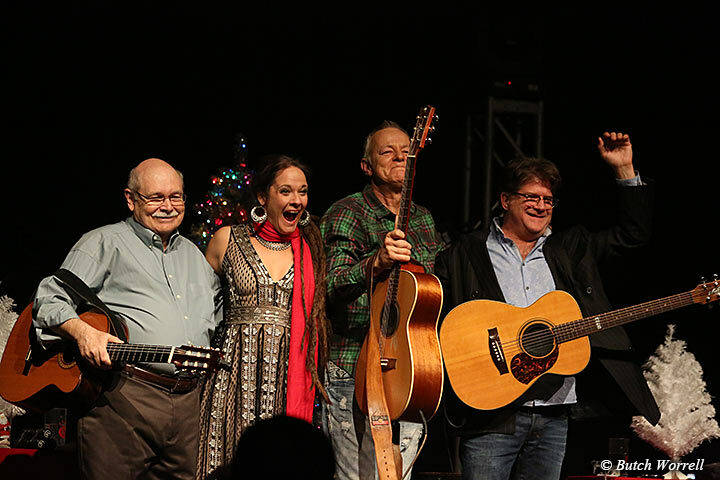 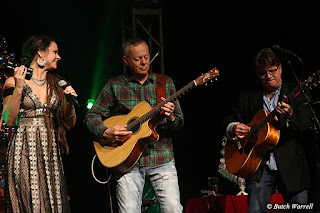 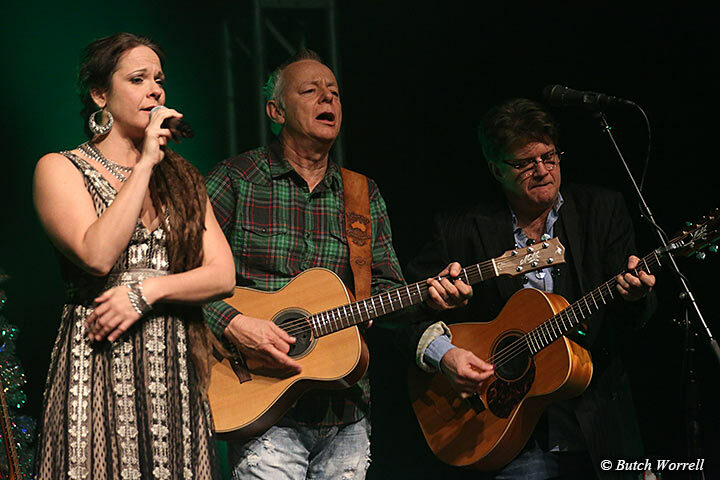 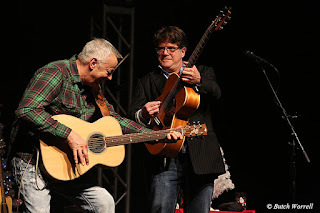 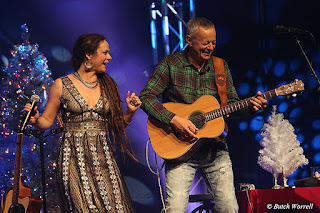 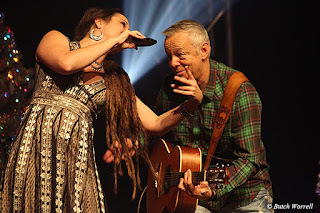 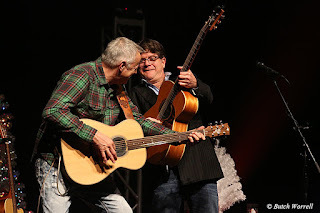 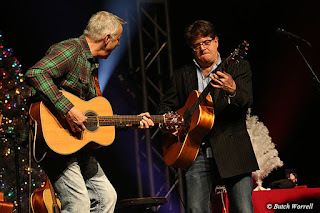 Tommy Emmanuel, along with fellow “CGP” John Knowles, Pat Bergeson, and Annie Sellick had completed their 2nd holiday tour, celebrating their “Christmas Memories” recording. 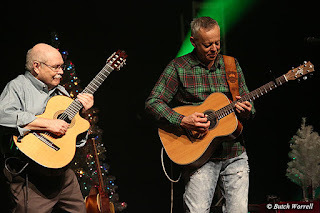 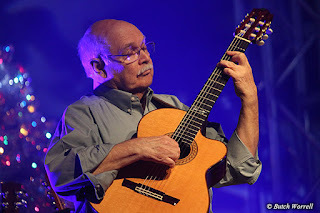 Tommy Emmanuel and John Knowles are among the 5 only “Certified Guitar Players” so designated by the late, great Chet Atkins. Joined by Pat Bergeson, whose skills on guitar as well as his great harmonica skills qualified him to be part of the show and Annie Sellick whose amazing vocals filled out the the quartet on the 2nd year of a successful series of show, they brought it all back to their hometown for a grand finale. 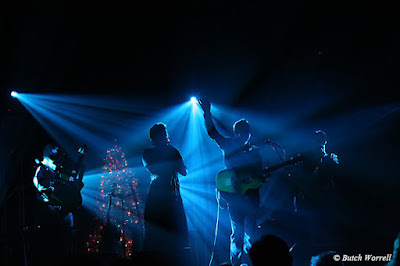 And what a finale it was. The first set mainly consisted of Tommy Emmanuel solo, inter-spaced by stories of how he came to be the amazing musician he is as well as him paying homage to Chet Atkins and the influence Chet had on his career. 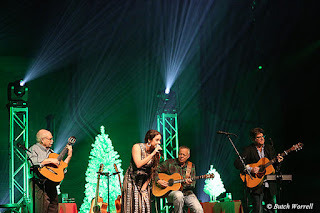 Then came the second set of the full quartet presenting one of the best shows of holiday music one could hope to hear. 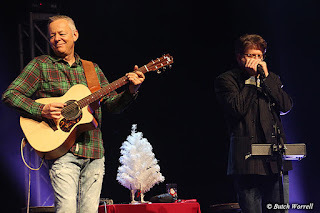 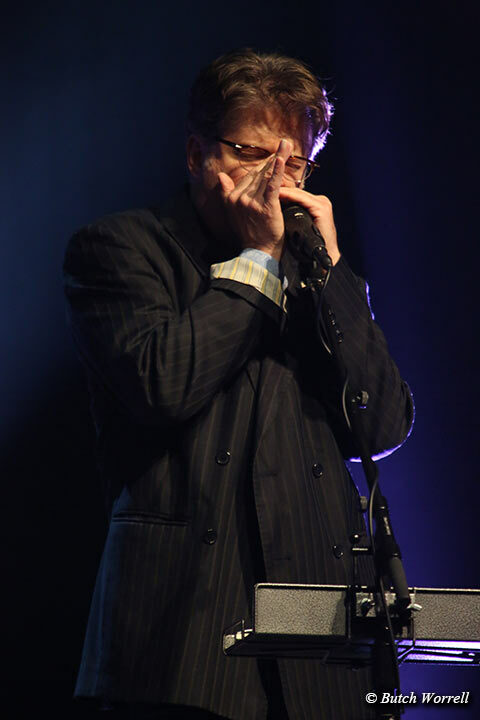 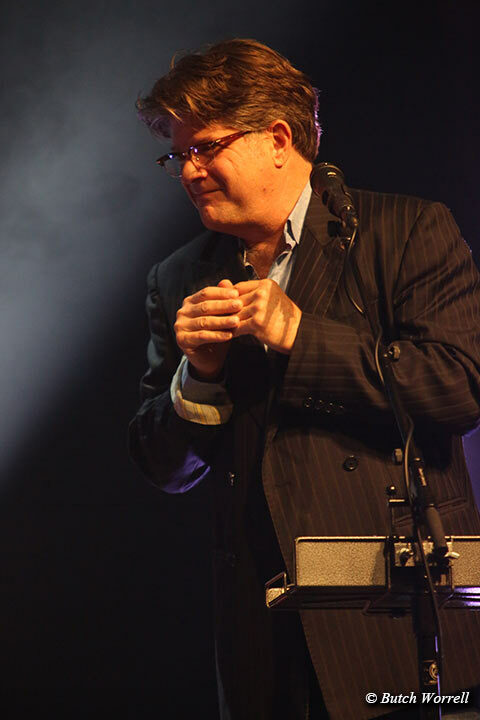 Along with the amazing guitar work of the Tommy, John, and Pat, there was also the beautiful harmonica playing of Pat's. 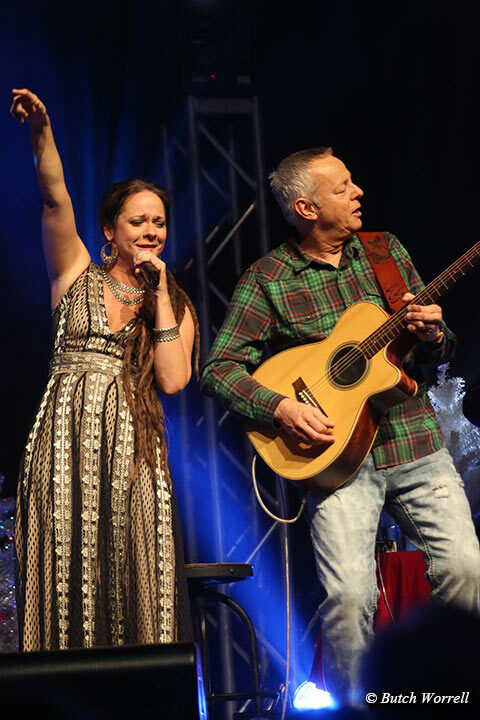 Then there was Annie Sellick, who proceeded to “own” tunes such as “White Christmas” and “Winter Wonderland” with her sultry, jazzy vocals. 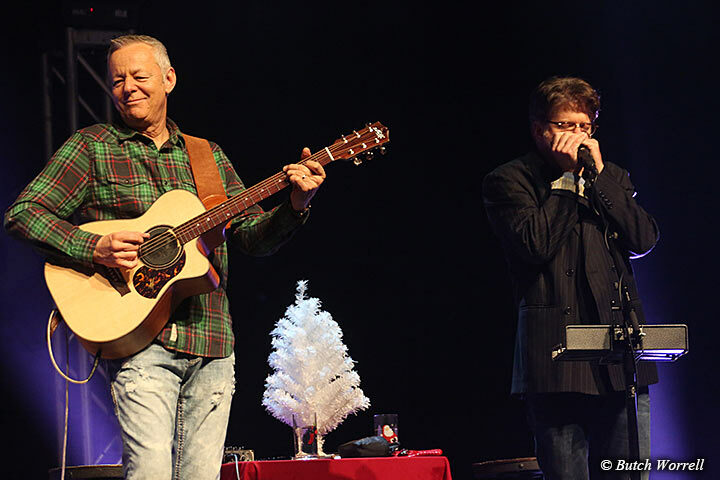 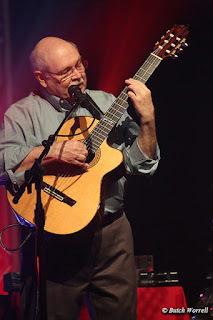 Finally after a group bow, Tommy started an encore solo, which was joined by Pat Bergeson on both guitar and harmonica, an exhibition of musician ship which a fitting finale for the entire tour. 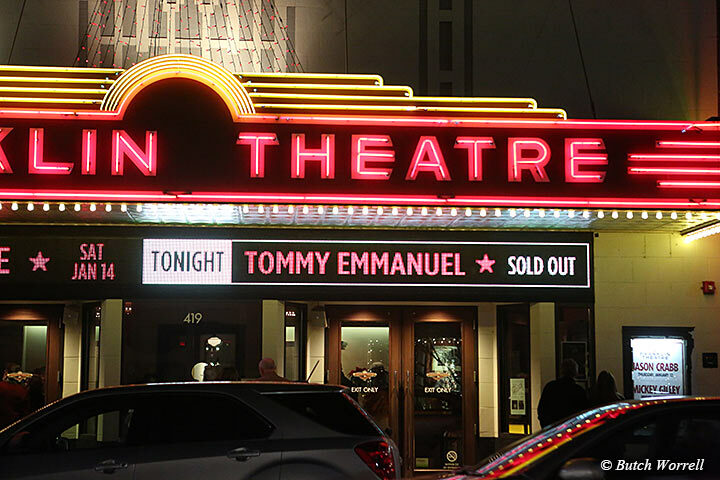 The manager at Los Angeles venues suggested we make custom choices and make the menu a little more personalized. 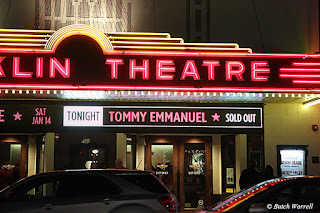 The next time you need to hold a conference, have a wedding, or set up a whiskey tasting, think about doing it at this venue.